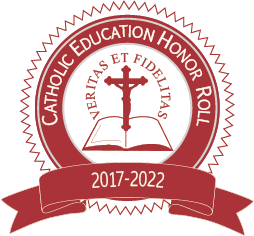 It was our honor this October to be named to the Catholic Education Honor Roll for the sixth consecutive time. Once named The Top 50 Catholic Schools, the national award seeks to honor those Catholic schools across the nation who best exemplify the Catholic faith's principles and values as it pertains to education. It is our deep conviction that our students are best served academically, socially, morally, and spiritually in a faithfully Catholic environment committed to students' formation in heart and mind, body and soul. We remain committed to being formed by the wisdom of the Catholic faith in all that we do. You can read more about this national honor here. Over the past few years, I have spoken with many of you about the benefits of shifting our 7th grade to the Lower School campus. Research and our own experience demonstrates that placing 7th-graders in an environment like our Lower School is a boon to them. 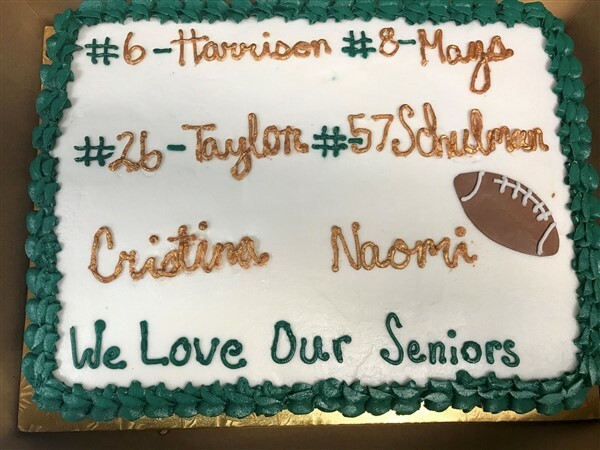 They have opportunities to grow and mature, and to step into leadership positions over younger students who look up to them. They are better prepared for high school. We are excited that this year's 6th grade class will stay at the Lower School for the 2018-19 school year. The Lower School will become a K-7th grade campus; the Upper School will be an 8th-12th grade campus. Mr. Schultz, the 6th grade class, and their families, have already begun conversation about how they will shape this new 7th grade experience next year. It's an exciting time for our current 6th-graders. This decision is the result of extensive study and consideration of a broader master plan that will ultimately benefit the whole school. The board of trustees and our administrative team are looking ahead to a 20-year Master Facilities Plan for the school. This plan will entail facility priorities for the next 5 years, 5-10 years out, and 10-20 years out. It will impact all campuses in exciting ways. I look forward to discussing this with you more this school year as progress is made. This week closes out our 2017-18 Annual Fund campaign, and I am grateful to all of the families who have made a gift to the school in gratitude for the remarkable formation that students receive here. We want to see each and every family at HSP make a gift to the Annual Fund, on our way to raising $575,000 to support the operating costs of our programs. Your gifts make our mission of forming students possible, and I look forward to celebrating our success with you this Saturday, at our Annual Fund Run. If you have not yet made your gift, I ask you to make it here. 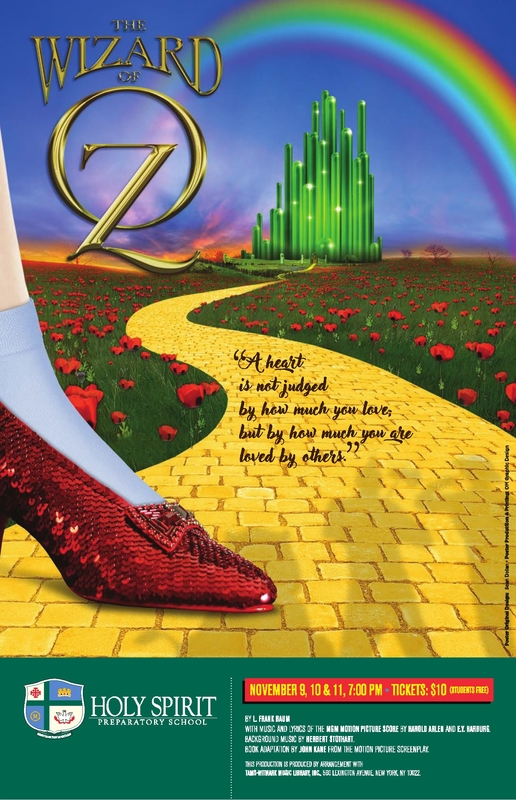 We need volunteers to help with set up, registration, the cake walk, picnic and clean up. The cake walk is back this year. 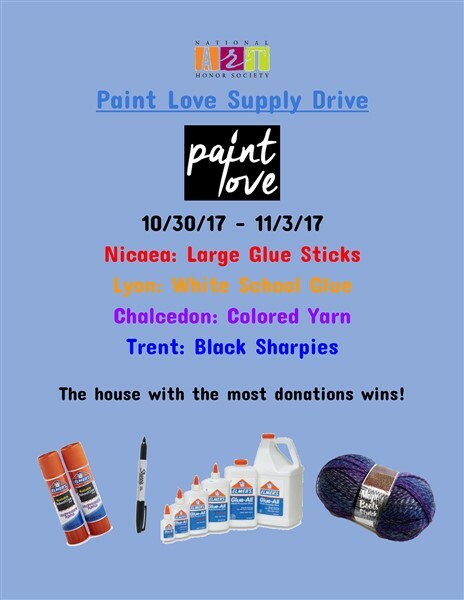 Many donations are needed! Please sign up to drop off your donation during carpool. The Annual Fund campaign closes on Friday, October 27. 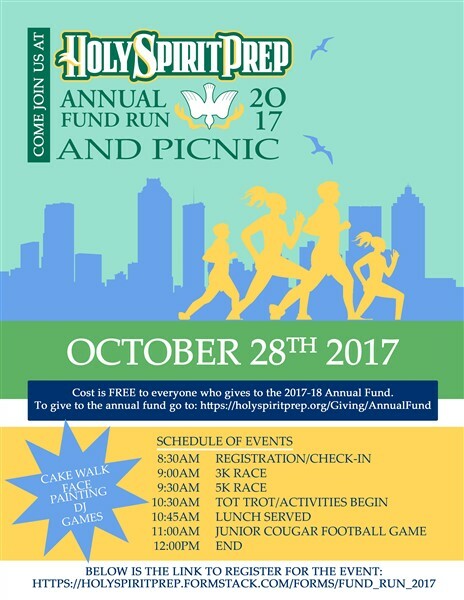 We hope to attain 100% parent participation on the way to raising $575,000 supporting the day-to-day operations of HSP’s programs. If you haven’t yet, you can make your gift now. Believe it or not, Advent season is right around the corner, starting on December 3! HSP’s PVA has secured another season of beautiful Vermont Advent Wreaths (including candles!) and Christmas Wreaths for our community. These are wonderful fresh cut wreaths to give as gifts or keep for yourself. All items can be individually delivered! The PVA receive a portion of all the sales. Below is a reprint of an email sent from Mr. Pietrantonio to the HSP community on Monday, October 16. It is great affirmation for HSP to be recognized by the Catholic Education Honor Roll. This distinction confirms our commitment to the mission of Catholic education, and that we are one of the preeminent schools in the country for forming students in heart and mind, body and soul. I am grateful to every member of our community – our leadership, administration, students, parents, teachers, and staff – for their hard work in assuring a strong Catholic identity permeates all that we do in preparing our students to be future leaders in both society and the Church. Again, thank you for your support of our school community and our mission of Catholic formation. The latest issue of My Sandy Springs magazine featured 4th-grade teacher Mrs. Coury in their article "Top Teachers Make the Grade". Check it out below! Senior Emma Daly is completing her Girl Scout Gold Award. As part of her project, which focuses on animal rescue and rehabilitation, she is hosting a supply drive at each campus. HSP celebrates its second of four All-School Masses of the year on Wednesday, November 1, at 8:15am! Our school community will gather in Holy Spirit Catholic Church to worship together. Parents are encouraged to attend! Drop-off for Lower and Upper School students will be at the Upper School in front of the Commons Building. Drop-off for Upper School students (including those with Lower School siblings) should be between 7:25–7:40; Lower School students should be dropped off 7:40–7:55. Law enforcement officers will be helping direct traffic in and out of campus; they may not allow cars to turn left onto Northside Drive. Lower School students will meet their homerooms in the gym, and Upper School students will meet in their homerooms before Mass. The Preschool will start at its normal time this morning. Preschool students are welcome to attend this second All-School Mass of the year with their families! This day is a dress uniform day. Holy Spirit Catholic Church and Holy Spirit Prep are pleased to host Dr. Gianna Emanuela Molla on Monday, November 6th, at 7:00 p.m. in McDonough. Dr. Molla was born on April 21, 1962, to St. Gianna Beretta Molla, an Italian wife, mother and pediatrician. St. Gianna died one week after the birth of Gianna Emanuela - on April 28, 1962 - after suffering through a high-risk pregnancy during which she was encouraged to terminate the pregnancy to save her own life. Dr. Molla will speak about her "saint Mom," her family life, and her efforts with the St. Gianna Beretta Molla Foundation to honor, perpetuate and spread around the world the memory, testimony and spirituality of her mother, particularly the "Ponte Nuovo Project." Through this project, Dr. Molla hopes to restore the holy places of her mother's life, including the creation of an International Center of prayer, study and spirituality that will welcome pilgrims from all around the world. 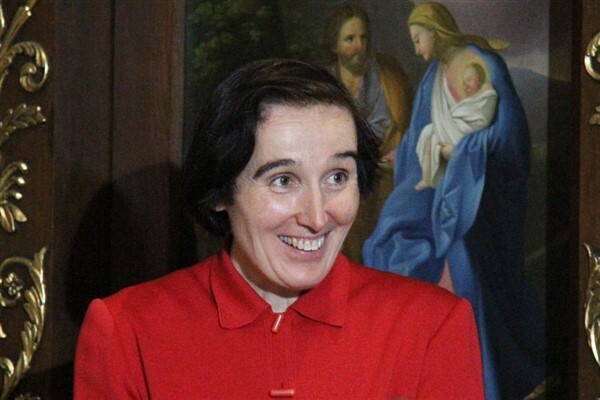 *Books about the life of St. Gianna will be available for sale. Cash or checks accepted. Make sure your family knows about Grandparents and Special Friends Days! Our grandparents (and other special friends and family) will spend some time with us on campus that day: attending Mass, sharing a meal, spending time together in the classroom. Congratulations to senior volleyball athlete Becca Rios, libero for the varsity volleyball team, who was named to GISA's All-State volleyball team. The victory comes after the volleyball team secured the GISA 1AAA region championship and competed in the GISA state tournament. Rios has played on HSP varsity all four years of high school, as well as club teams. She has also acted as assistant coach for HSP's middle school volleyball program and for club teams. She is the President of House of Nicaea. Varsity volleyball competes at at the 2017 GISA state tournament. Rios, in yellow, was named to the All-State team. 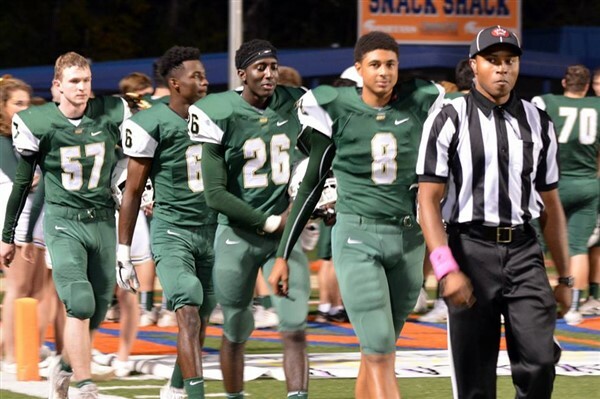 Varsity Cougar football claimed a final home game victory in their recent game against Dominion Christian. 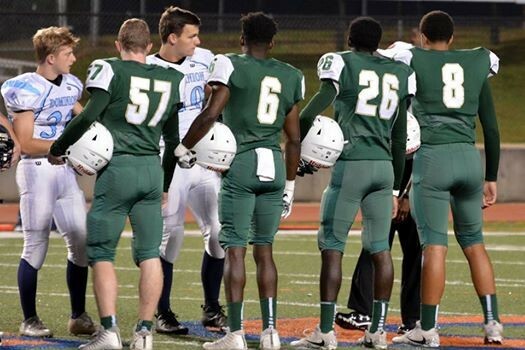 The victory was convincing form the first quarter, which closed with HSP up 28-7 versus Dominion. The game closed with a solid 55-26 lead. Kyle Bannon, senior athlete on the cross country team, was also recognized. Ryan Harrison scored three of the night's touchdowns. The girls and boys' varsity cross country teams both advanced to the state meet during last week's region meet. Each team placed second, bringing back two runner-up trophies and the opportunity to compete for a state championship. Julia Del Bosque placed 2nd and Camila Del Bosque placed 3rd. Both were named to the GISA 1AAA All-Region team. Andrew Churchill placed 8th and Angel Casillas placed 9th. The state meet will be held at Dominion Christian Academy in Athens on Saturday, October 28th. With questions or for information, please contact Coach Hein (lhein@holyspiritprep.org) or Coach Megan (mgallagher@holyspiritprep.org). You know and love HSP, and learned all about Kindergarten at Day in the Life of a Kindergartener. HSP is hosting a Lower School Open House for the public on Thursday, November 2. If you know someone you think would be a great fit for HSP's kindergarten next year, let them know! You can share the flyer below with your friends, neighbors, and family. Thanks for supporting Holy Spirit Prep! 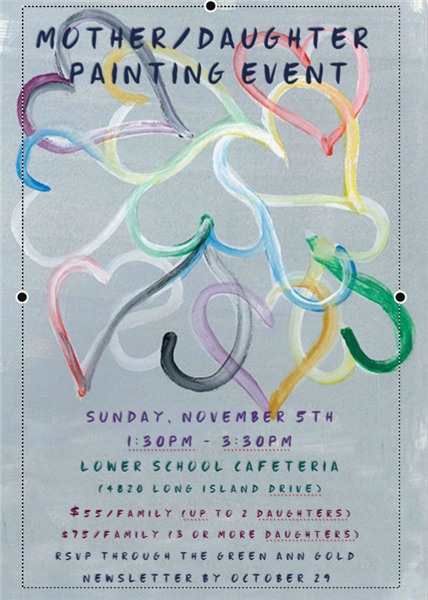 The Lower School hosts its annual Book Fair the week of November 6th-10th. 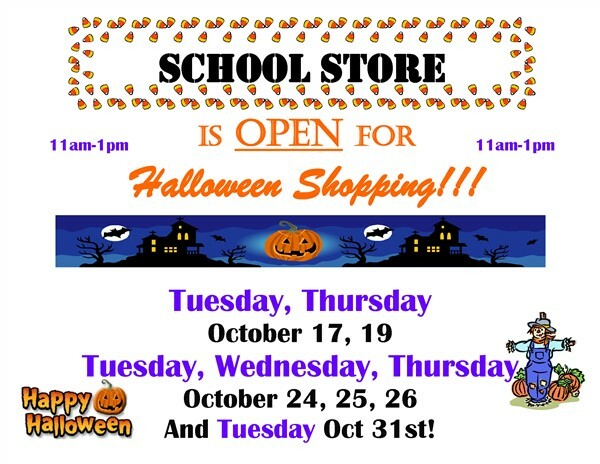 Students will visit the book fair during their regular media center time that week. There are no preview days scheduled for this book fair, but parents are welcome to come with their child to shop. These are the first steps students take in becoming House leaders, with opportunities opening up in junior high and high school, especially in 12th grade, when students will elect House Presidents and faculty will elect Head Boy and Girl. The Upper School sends official report cards only in December and May. With first quarter ending earlier in October, we wanted to remind you to log in to your PlusPortals account to view your student's progress from first quarter. In addition, we also wanted to provide you with information as to how to view your student's most up-to-date grade for the semester now that we have moved into second quarter. begin from the PlusPortals welcome page with your student's photo. Click the blue "More" button to go to his/her summary page. 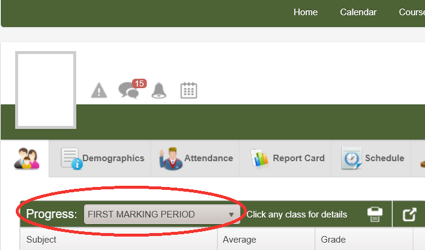 Select "First Marking Period" from the drop-down menu to see all your student's first quarter averages. As we have now moved into second quarter, you will want to view your student's 1st Semester average (labeled as 1S AVG on PlusPortals), which is a cumulative average of all grades earned in both first and second quarter. 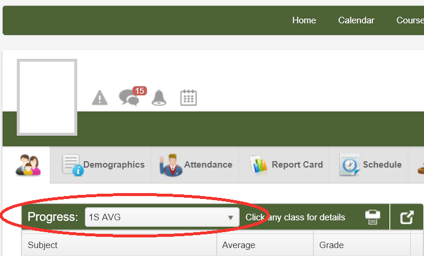 To view your student's 1st Semester average, you would follow the same steps as above for First Marking period, except you should select "1S AVG" from the drop-down menu instead. Please remember, the first quarter grade is just a progress grade. Your student’s first semester grade in their class will be a cumulative average of all earned grades in both first and second quarters (worth 80% of a student’s grade in 9th-12th grade; worth 100% of a student’s grade in 7th-8th grade) and the final exam grade (20% of a student’s grade in 9th-12th grade). If you have any questions about any of this, please feel free to reach out to our Registrar, Rachel Little, at rlittle@holyspiritprep.org. Attention high School girls: Are you interested in global issues affecting women like human trafficking, child marriage, life issues, and gender identity? Do you want to learn more about social justice and how it fits with the Catholic faith? Would you like to study those issues at an international conference at the United Nations in New York next March? If so, see Ms. Van de Voorde for information on joining FIAT Girls. For general information, check out www.fiatgirls.org. Metro Music Makers has been our partner in bringing quality music instruction to our students at the Lower School. This year, we're excited to extend their private music instruction to the Upper School. Highly trained Metro Music Makers staff offer lessons for a variety of instruments, including piano, guitar, ukulele and many band instruments! For more information and to register your student, visit metromusicmakers.com/holyspiritprep. Parents: Save the date for 100 amazing science events March 9-24, 2018! Event details will be available on our website in February. For now, help your family, friends, school, after-school program, PTA group, youth group, neighborhood association, Facebook groups, etc. to learn more about the Atlanta Science Festival by sharing this email! Learn more about the Atlanta Science Festival at http://atlantasciencefestival.org/.